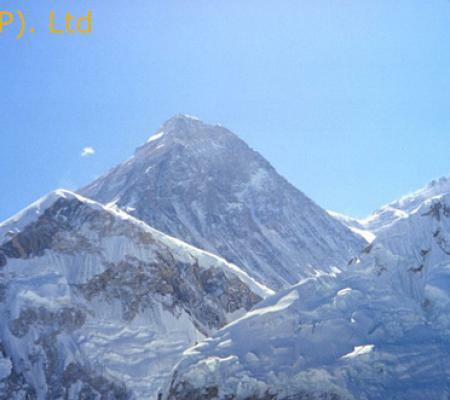 Everest Base Camp is a popular destination to experience adventure and fulfill the dream of soaring higher than even the clouds. 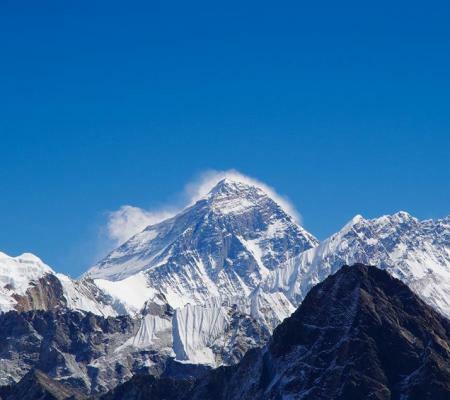 Everest Base Camp is filled with stunning Himalayan scenery, world’s biggest-like glaciers, hundreds of ancient’s monasteries, high thrilling trekking passes, warm and hospitable Sherpa culture and a breathtaking flight to Lukla, that makes one of the best adventurous treks in Nepal. This trek will surely provide you a lifelong awesome experience with world’s biggest desert-like glaciers, spectacular Himalayan décor, high inspiring trekking passes and warm, hospitable Sherpa’s unique culture along with ancient’s monasteries and so on. 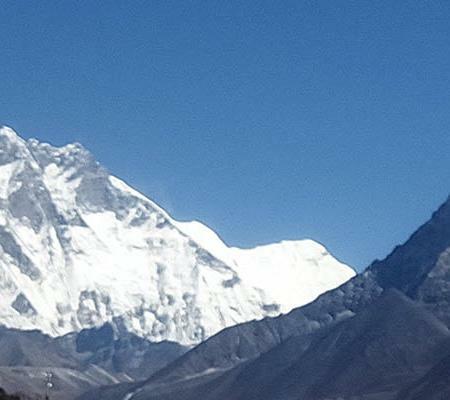 Everest Base Camp Trek is very famous trek due to its high standard adventurous trail to the trekkers, which begin after an adventurous and thrilling flight to Lukla and provide you the best impression of great mountain views. 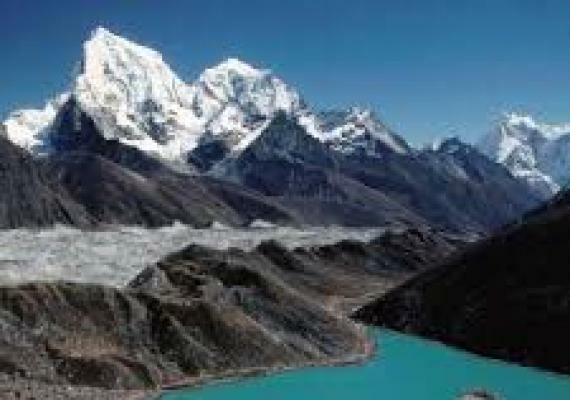 And this adventurous trek will take you through wide areas of stunning landscapes, ancient Buddhist monasteries at Namche, typical ethnic settlements, Monjo, Panboche and Tengpoche and eventually towering peaks such as Everest itself, Lobuche, Manaslu, Island Peak, Kang Tega, Nuptse, Ama Dablam, Thamserku, Kusma Kangaroo, Pumori Lhotse, and many more. Everest Base Camp is well known for its unique snowy Himalayas, the trustworthiness and pleasantness of Sherpa people are quite unimaginable. From Lukla you will officially begin the gentle downhill walk from Lukla to Phakding, continuing further trail onwards north, you will find several gentle and steep ascents throughout the Everest base camp route which is quite strenuous too and ultimately, we will reach 5550meters high of Base Camp. Our Airport representative will welcome you at the Tribhuvan International Airport in Kathmandu and he/ she will transfer you to your hotel in Thamel Kathmandu where you can rest and be fresh. In the evening, you will join cultural dinner in the hotel. Overnight at hotel. Day 2 : Sightseeing in the Kathmandu and preparation for trekking and other essential factors. As morning raises, after early breakfast, we will mange you to visit major world heritage sites such as: Pashupatinath Temple, a scared site for Hindu and Buddhist. Syambhunath temple fomous for sightseeing of Kathmandu Valley, Royal Kathmandu Durbar Square and largest Boudhanath Stupa through the world. In the evening, you need to be well prepared for the trek. 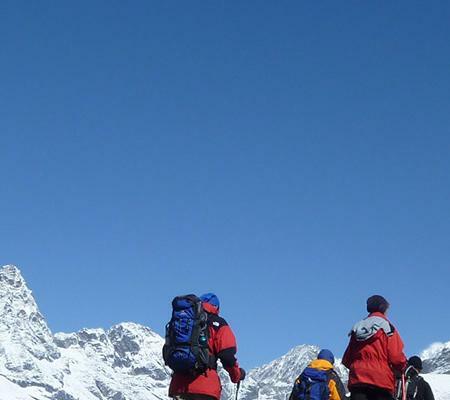 You should know all the essential factors and places before going to the trek. Overnight at hotel. 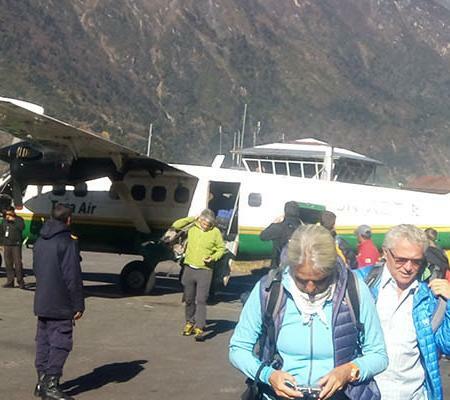 Early morning after having breakfast, you will take a breathtaking flight for Lukla, almost 30 minutes flight offers you impressive mountains views. Then after you will begin easy walk on the legendary trekking trail through the cultured Sherpa villages with its exceptional beauty and the view of splendid DudhKoshi gorge, landscape and unique deep Valley. During the journey, the scenic beauty, farming terraces and deep gorge at the backdrop are truly phenomenal. In the evening, you will explore stunning Phakding and have a fabulous dinner and stay overnight over there. Today, after early breakfast, you will depart Phakding and make 3 hours gentle walk through the series of pleasant villages of Sherpa people and cross 5 high suspension bridges, deep gorge, scenic beauty and soaring cliffs, we will ultimately reach to Namche Bazaar, which is situated at the altitude of 3450m. Namche Bazaar also offers you a great view of Thamserku, Kusum Kangaroo and Holy Khumbiyela, Nuptse and Lhotse mountains. Overnight at Namche Bazaar. 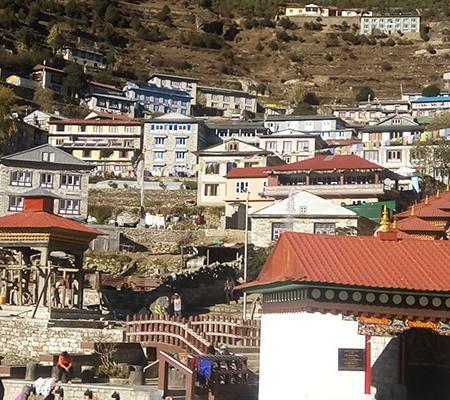 Today, you will explore the Namche Bazaar and have some close view of the magnificent mountain, the Tibetan-Buddhist culture, extensive green hills and to witness the territory of the yaks is quite captivating. 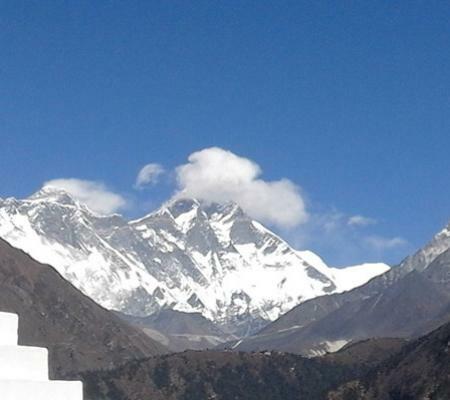 From Namche, you can have the first view of the world’s highest mountain, Mt. Everest. 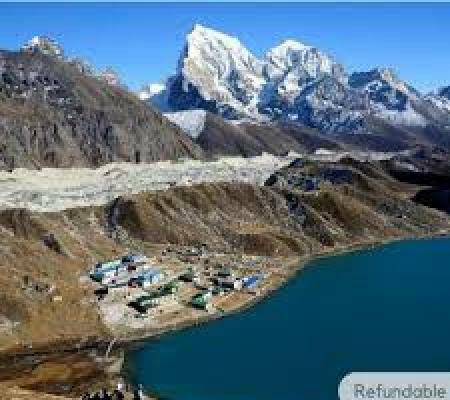 You will also discover very beautiful neighbors villages namely Khumjung and Khunde which are also considered as twin villages in Khumbu region. You will stay overnight at Namche Bazaar with cultural dinner. 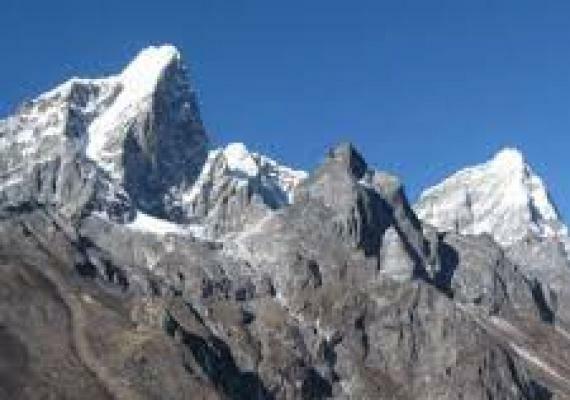 Today, we will make a short and relaxing walk towards Khumjung which is situated at the base of the holy mountain Khumbiyela and is quite exceptionally sensational. You will also visit impressive yak farm and KhumjungMonastery where you will get chances to witness the scale of the Yeti and then you will make the fabulous walk to the ridge of Mong- La with spectacular mountain views. Then you will continue your trail deep drop to the Gokyo gorge which offers you musk deer than to the terraced village of Phortse. The further trail leads you to the Tengboche through the Dudhkoshi River, beautiful forests with numerous views of villages on the horizon. 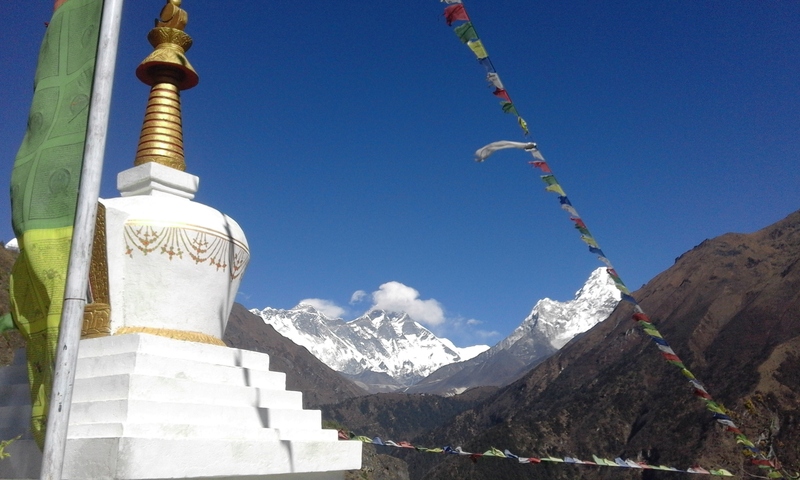 Tengboche offers you a close view of Amadablam peak and biggest Buddhist monasteries. Overnight at Tengboche. Dingboche is situated at the foot of soaring Ama Dablam Mountain, the altitude of 4,410m which is also one of the famous attraction for the trekkers. 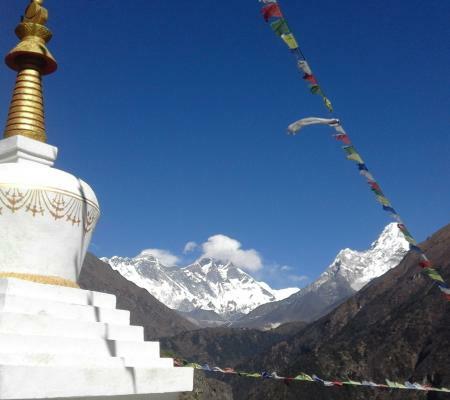 So today, we will leave Tengboche and take a gorgeous high trail with an outstanding view of the countless neighboring mountain which is hidden from Namche view and deep valley, witnessing the musk deer, mountain goats, different birds and scenic surrounding. 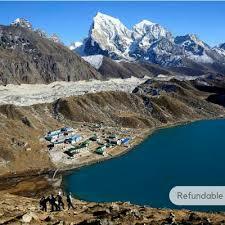 Around 5 to 6 hours gentle walk takes you to the gorgeous Dingboche Valley surrounded by majestic peaks. Overnight at Dingboche. Today we will rest at Dingboche and explore the Dingboche Valley. From the 4410m altitude of Dingboche, we will view breathtaking 360 Degree Mountain including Island peak and, Imje valley and Dingbuche Village. Overnight at Dingboche. In this day, we will also make another beautiful walk towards Lobuche which the situation at the altitude of is the 4,910m. We will walk gradual up in the wide Himalayan meadow up to the memorial plateau with hundreds of memorials built is truly remarkable and stunning mountain views like Cholatse, Pumari, Lobuche and spectacular landscape. 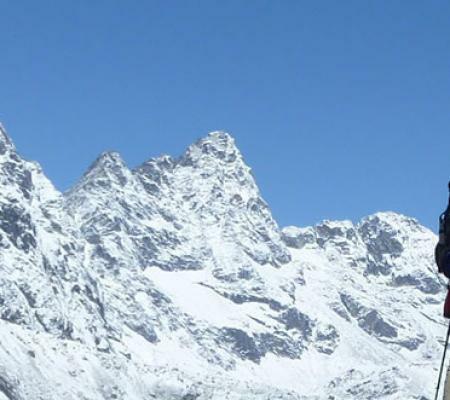 Around 5 to 6 hours pleasant walk takes you to the Lobuche, a small settlement at the foot of Lobuche peak. Overnight at Lobuche. Today, we will be leaving Lobuche and walk towards Gorakshep through the rocky moraine undulating trail is extraordinary. Around 3 hour’s gentle walk leads you to the spectacular village, GorakShep which is surrounded by Pumari, Lingtren, Nuptse and of course Everest. 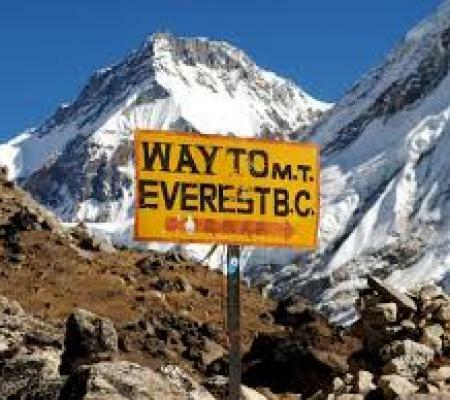 Again, around 2 hours trail take you to the Everest Base camp which is situated at the elevation of the 5364m, with a spectacular view of the Khumbu Ice Fall beside soaring mountains. Not only that, you will also get chances to view Basecamp and the blue ice pinnacles of the icefall which are astonishing. 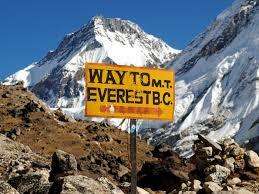 After exploring the Everest Base Camp, we will return back to Gorakshep and stay overnight at Gorakshep. Today, early morning, we will make an epic climb to Kalapathar which is situated at the altitude of 5,545m and it is a point from where we will view sensational Himalayan vistas all around. The trail is not so easy enough even though the view from the top surpasses the wildest imagination. Kalapatthar offers you authentic and magnificent views of Himalayas. 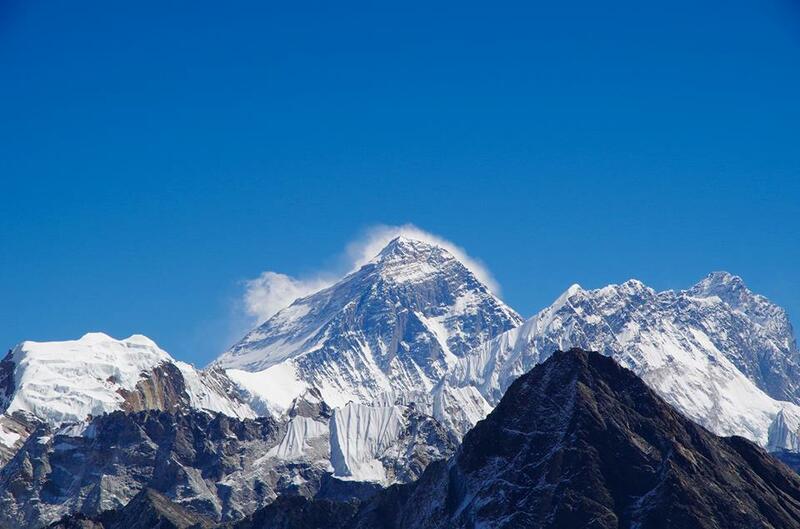 After viewing breathtaking Himalayan, we will trek down to Pangboche which is situated at the summit of 3930m. It takes around 2 hours to reach Pangboche, a pious Buddhist settlement, where you will see active Tyangbuche Monastery and some wild animals such as musk deer, mountain goat, Pheasants and so on. We will stay overnight at Pangboche. We will be back to the tree line area we retrace our steps back to Namche Bazaar and once we will visit the Monastery and light the butter lamp is an incredible experience along with witnessing the untold history and the activities of Tyengbuche. We will also see impressive mountain views from Namche Bazaar and stay overnight at Namche Bazaar. Today, we will trek down to Lukla through the rhododendron forest to the valley floor to follow the DudhKoshi downhill and then we will trek out of the national park to the village of Phakding. In this way, we will finish our exhilarating journey. Overnight at Lukla. This morning, we will take a flight from Lukla to Kathmandu. Around 30 minutes flight once offers us thrilling flight over forests, fields and beautiful settlements with the Himalayas in the background. Overnight at Kathmandu. Today you will restand recall all the memories which you were captured in your cameras. Today you can do some shopping in the vibrant Thamel market and in the evening, you can enjoy farewell dinner in the Nepali restaurant which represent typical Nepal culture. Then overnight you will stay in the same hotel. Today will be your final day in Nepal, it is time to fly back to your home keeping all the exhilarating experiences of Nepal in mind. Our representative will help you to find your destination.